The Palma Superyacht Show is a brokerage and charter show for yachts over 24m. Organised by the industry, for the industry, the Palma Superyacht Show has a unique personality and its relaxed and social atmosphere provides the perfect marketing platform for yachting companies. Ben je gek van techniek en wil je werken in de superjachtbouw? Kom dan naar onze Open dag voor sollicitanten. Je kunt een aantal projecten zien waar we mee bezig zijn en er zijn collega’s aanwezig die je alles kunnen vertellen over het werken in de superjachtbouw. Wij zijn op zoek naar monteurs en engineers. Op onze pagina ‘Career‘ kun je zien welke functies op dit moment open staan. Maar ook open sollicitaties zijn van harte welkom. We komen graag met je in gesprek! The Dutch Enterpise Agency organises this economic mission in cooperation with Netherlands Maritime Technology, Holland Yachting Group, Ministry of Foreign Affairs, Ministry of Infrastructure and Water Management, Dutch ambassy in Berlin, NBSO Hamburg and The Confederation of Netherlands Industry and Employers (VNO-NCW)/Royal Association MKB-Nederland. Cora van Nieuwenhuizen, the dutch Minister of Infrastructure and Water Management will lead the trade mission. The programme for this delegation runs parallel to the working visit of His Majesty King Willem-Alexander and Her Majesty Queen Máxima to Mecklenburg-Vorpommern from 20 to 22 May. The King and Queen are present during some parts of the mission. Our Managing Director Rob Montijn will join the delegation of the Economic Mission Mecklenburg-Vorpommern and Brandenburg. He will be visiting some shipyards, networking events and join individual matchmaking. There will be network opportunities with maritime companies and partners in several cities in the North of Germany. 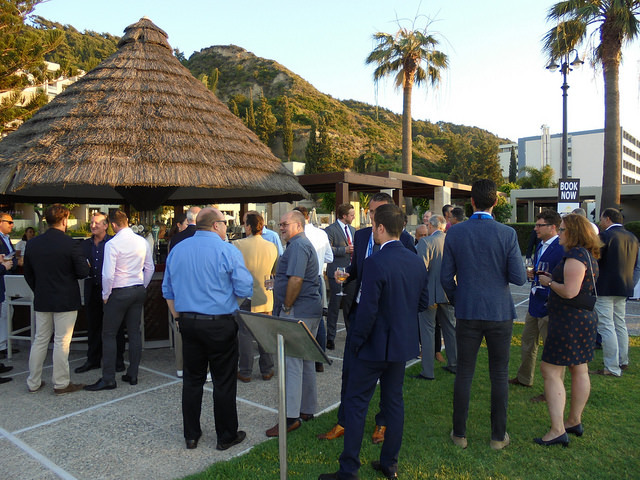 MTB – ‘Meet the Buyer’ is a programme of one-to-one, face-to-face sales appointments between Technical Purchasing Managers from Superyacht Builders, Shipyards, Yacht Management Companies, Owner’s Reps & Naval Architects from around the world together with Supplier companies from all areas of the Superyacht industry. Our Managing Director Rob Montijn will join MTB Superyachts which will take place in Prague this year. 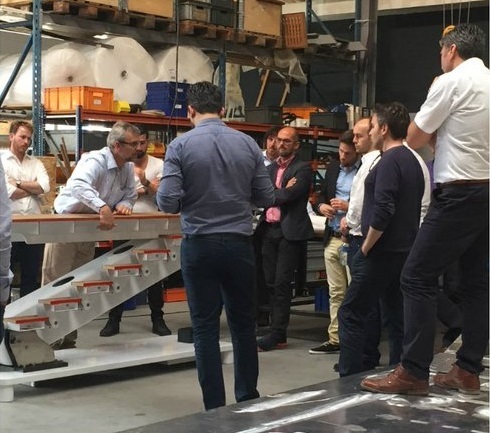 The Holland Yachting Group organises an incoming trade mission, the Purchasing Project Tour. International business or press relations from all over the world will be visiting Dutch suppliers and yards in The Netherlands in a series of matchmaking appointments. On Wednesday, the 12th of June, the guests will be visiting Hydromar Marine Equipment. Hydromar will be closed for summer holidays. The workshop and the office will be closed during weeks 31 – 33 (29th of July – 16th of August 2019). For urgent matters during these weeks please contact us at info@hydromar.nl. In case of urgency you can call + 31 (0) 88 – 45 70 430. Hydromar will be participating with Hiswa Holland Yachting Group and her members to the Cannes Yachting Festival 2019. Our sister company Swissway Marine Equipment will be an exhibtor, stand number not known yet. 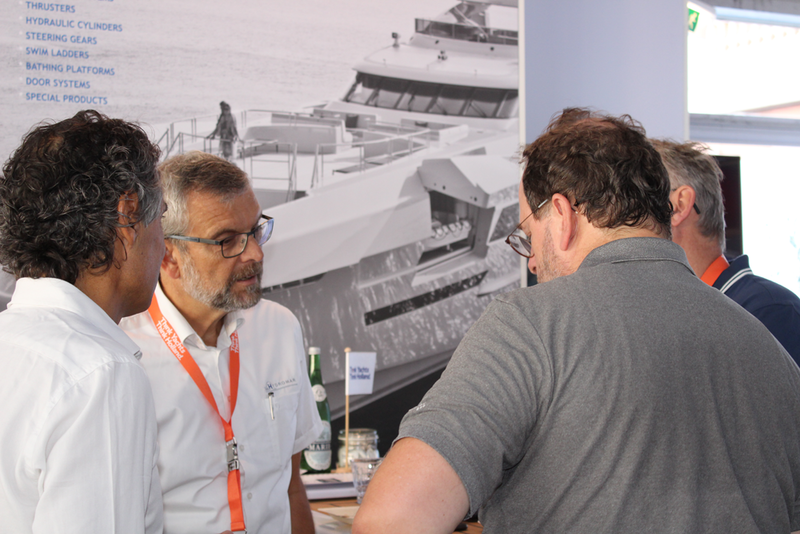 Hydromar will be exhibiting the MYS2019 in the Holland Pavilion, Darse Sud. More info to come. 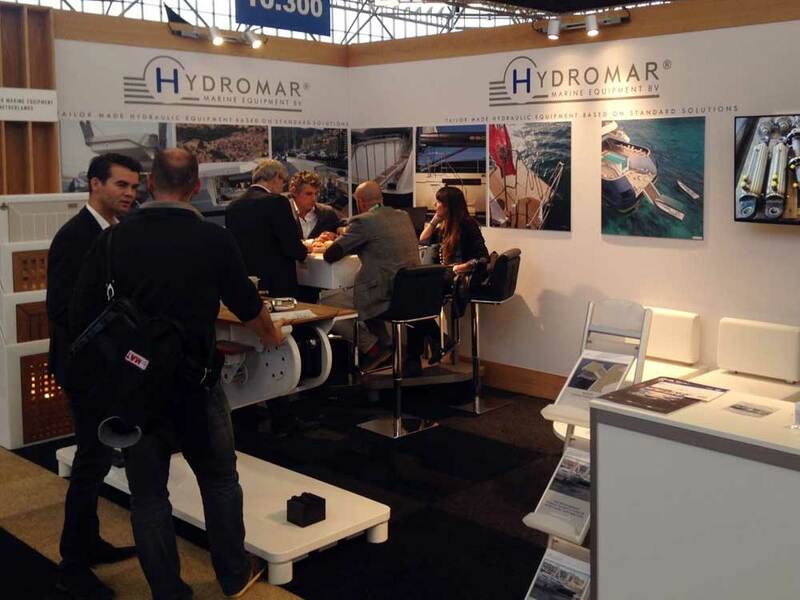 1 / Hydromar will be exhibiting the METsTRADEshow in the Superyacht Pavilion Hall 10. More info to come. Hydromar will be closed for Christmas holidays. The workshop and the office will be closed during 23 December 2019 and 3 January 2020. For urgent matters during these weeks please contact us at info@hydromar.nl. In case of urgency you can call + 31 (0) 88 – 45 70 430.